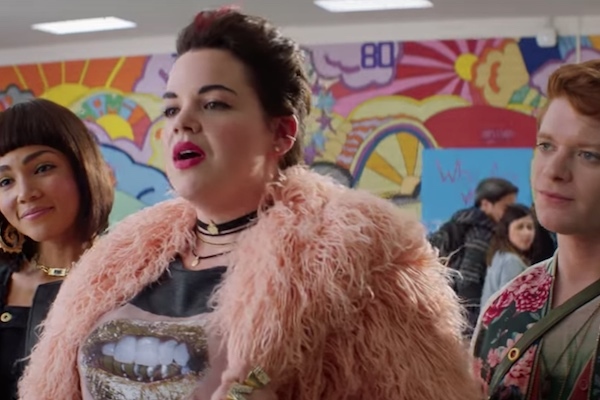 “Heathers” has dropped its first official trailer for the reboot series. The remake gives the Heathers clique an LGBT-twist. Heather McNamara (Jasmine Mathews) is a black lesbian and Heather Duke (Brendan Scannell,) identifies as gender-queer. The group’s leader is Heather Chandler (Melanie Field), a plus-size woman. Just like the original, Veronica Sawyer (Grace Victoria Cox) and her boyfriend J.D. (James Scully) plot a murderous takedown of the Heathers. Original “Heathers” fans can also expect to see Shannen Doherty who will appear in a three-episode arc. “Heathers” premieres on March 7 on Paramount at 10 p.m.
and just ruining the Heathers movie original message of conformity vs misfits.